It is with heavy hearts that we announce the passing of Aaron Lindgren of Coleman, AB, on February 6, 2019 at the Crowsnest Pass Health Care Centre, Blairmore, AB. He was 67 years of age. Carl Aaron Lindgren was born in Edson, AB to parents, Hart and Marg Lindgren. His parents raised him to be hardworking, to love the outdoors, and he kept busy fishing, playing road hockey and spending time with his friends and family. In his teenage years, Aaron discovered golf and became a passionate and competitive golfer for the remainder of his life. He loved the sport, and in his prime was on the board of the local club for many years and often played the game five days a week. He also enjoyed curling and darts, both as a spectator and occasional participant. He was a talented carpenter and enjoyed the satisfaction of working and creating with wood. Aaron was a kind and honest man. 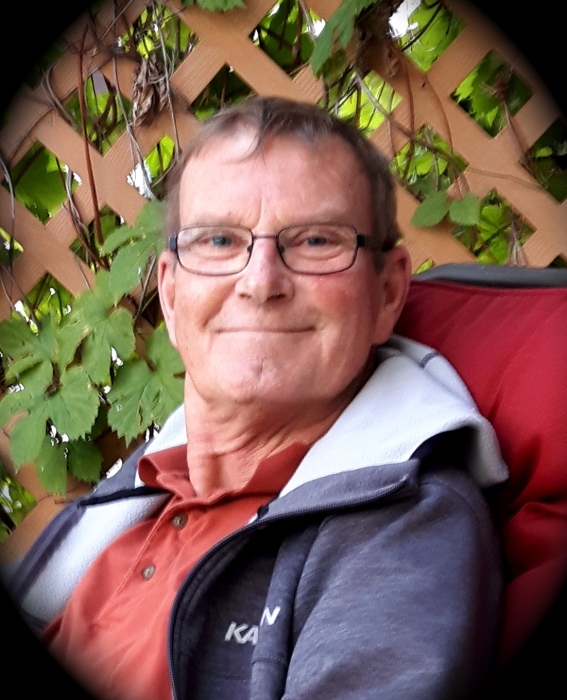 His approachable, genuine manner was appreciated by every customer he assisted; first when he worked for Shaw, and later when he opened his own equipment rental store. His consideration of others was evident by the help he gave to many people in the community, from helping individuals with Shaw issues after hours, to helping community groups with hanging Christmas lights, to immediately repairing broken rental equipment. He took great pride in his work. Not one to dwell on the negative, Aaron believed in facing each day with a positive attitude and he believed that every day could be a good day. His sharp wit and determined character will be forever remembered. Left to mourn his passing and celebrate his life is his wife, Kathy Gilmour of Coleman, AB; his sons, Stephen Lindgren of Calgary, AB and Christopher Lindgren of Burnaby, BC; his granddaughter, Kalysta Lindgren of Lethbridge, AB; his brother, Douglas (Charlene) Lindgren of Beaumont, AB and family; as well as his extended family and many friends. He was predeceased by his wife, Connie Lindgren (Née: Lant) in 1996, and his parents, Hart and Marg Lindgren. A Celebration of Life will be held at the Holy Trinity Catholic Parish Hall (13126, 21 Ave., Blairmore, AB) on Tuesday, February 19, 2019 at 1:00pm. With respect for Aaron’ s down-to-earth nature, please dress casually. In lieu of flowers, memorial donations will be gratefully accepted by the Jack Ady Cancer Centre (960 – 19 St. S, Lethbridge, AB T1J 1W5). Condolences may be registered at www.fantinsfuneralchapel.ca.